Model posted archival photos of her first son, Lucas who turned 15 years old. 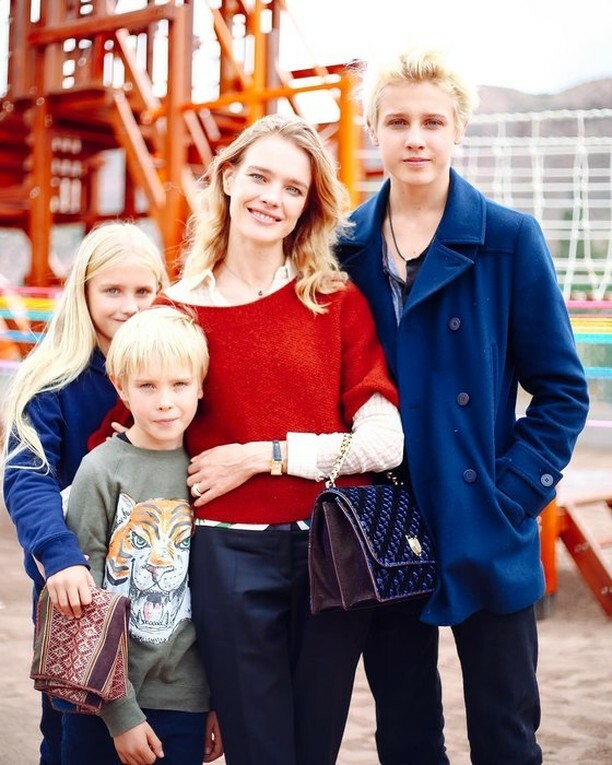 On December 22, the family of Natalia Vodianova celebrated the birthday of her first child - the eldest son from her first marriage with the English aristocrat Lord Justin Portman. The boy turned 15 years old. In honor of this event, the star shared a touching picture to Instagram. Natalia showed archival photo of the small son Lucas with the caption: "My baby now is 15!" Followers commented about how mother of many children is looking fab and wished her good luck. "Happy Birthday firstborn! It is with him, with your first baby, you experienced all the delights of motherhood. I wish you were the closest people in the world "" Beautiful Mother, a beautiful woman, sympathetic person, the soul of light! let it will be fine! "- wrote the fans. Recall that the model has three children - 15-year-old Lucas, 9-year-old Neva and 8-year-old Victor from her first marriage with the British aristocrat Justin Portman. Two younger sons, Maxim and Roman were born from the current de facto spouse Antoine Arnault, one of the richest people in the world by Forbes magazine.